Everywhere, everyone will think of Microsoft Excel to work on spreadsheets. At the college, office. Anywhere. It seems that Microsoft Excel has become a standard of spreadsheet software. Microsoft Excel is obviously not the only spreadsheet software out there. 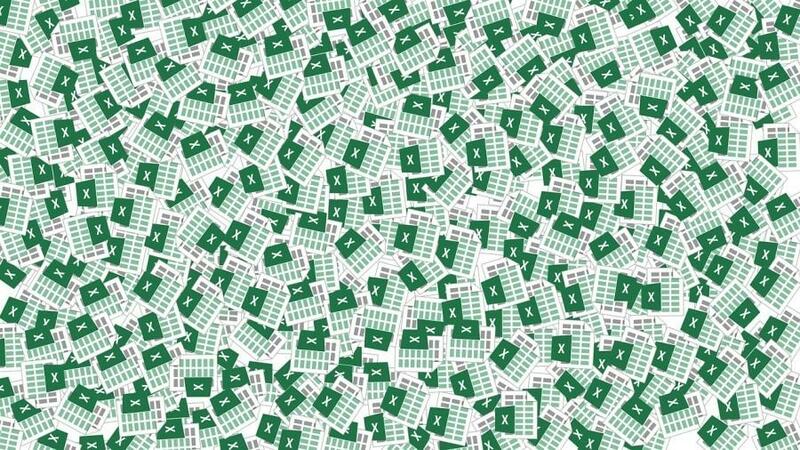 Spreadsheet software like LibreOffice Calc and Google Sheets are also capable of handling Excel’s job to create spreadsheet files. And, you don’t need to spend a dime to use them. Especially for Google Sheets, you don’t even need to install additional software since it is a web-based software. You can use it on your web browser. In addition to two mentioned spreadsheet software above, there are also other free spreadsheet software you can use to work on spreadsheet files. Here is the list. Here it is. 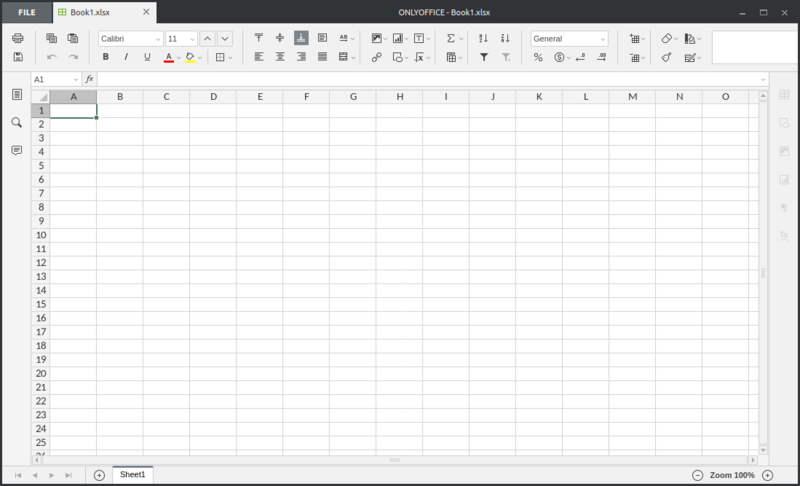 LibreOffice Calc is one of the best free spreadsheet software alternatives to Microsoft Excel. It will probably take few days or weeks to familiarize yourself with LibreOffice Calc after switching away from Microsoft Excel since the interface of this software is a bit different. But, if you have used old version of Microsoft Excel (2003 and earlier), chance are it takes lesser time for you to familiarize yourself with it. LibreOffice Calc is a part of LibreOffice, an open source office suite developed by The Document Foundation. LibreOffice Calc is not available as a standalone application so you have to install the whole office suite of LibreOffice to use it. Switching from Microsoft Excel to LibreOffice Calc, you will still be able to work on the spreadsheet files you created with Microsoft Excel since LibreOffice Calc is compatible with Microsoft Excel file format. This spreadsheet software uses OpenDocument format as the default spreadsheet format. LibreOffice itself is a cross-platform software, available for Linux, Windows, macOS and even Android and iOS. OpenOffice once become a favorite office suite in the open source communities scope before it was taken over by Apache and renamed to “Apache OpenOffice”. Apache OpenOffice Calc is one of parts of Apache OpenOffice. Apache OpenOffice is also an open source office suite just like LibreOffice. The fact, LibreOffice is forked from OpenOffice. Thus, hardly any difference between Apache OpenOffice Calc and LibreOffice Calc, be it user interface or features. Apache OpenOffice Calc is also available for Linux, Windows and macOS. Gnumeric is a standalone spreadsheet software. Unfortunately, it’s only available for Linux. If you use other operating system and have a programming capability and want to give Gnumeric a try, the source code of Gnumeric is available and free to download. Meaning that you can build it by yourself. Gnumeric itself was originally created by Miguel de Icaza. Currently, the project is maintained by The GNOME Project. Gnumeric has the ability to import and export data in several file formats, including CSV, Microsoft Excel and OpenDocument. Gunmeric has its own default spreadsheet format. 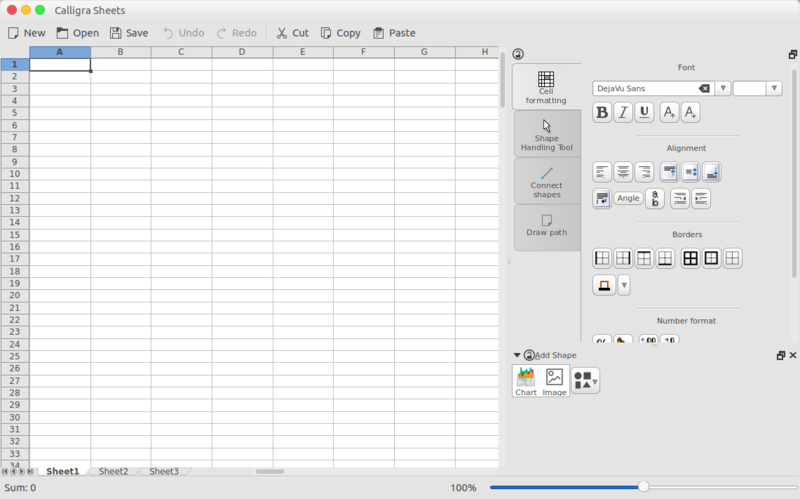 Calligra Sheets is a free spreadsheet software part of Calligra Suite, an open source office suite developed by KDE. Before eventually renamed to “Calligra Sheets”, this spreadsheet software was formerly known as KSpread and Calligra Tables. 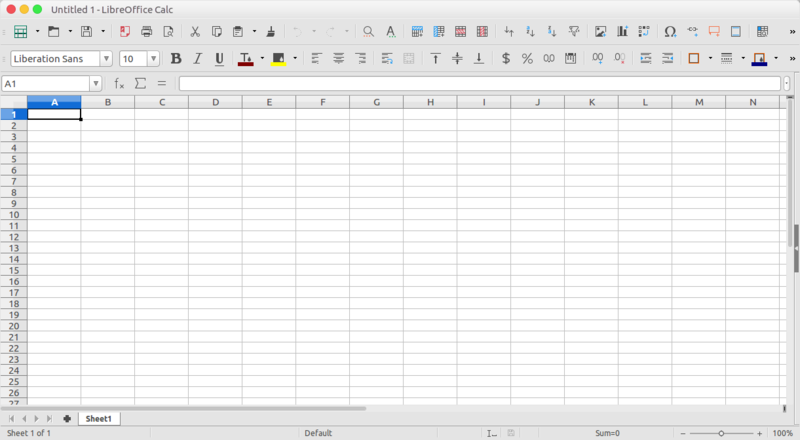 Calligra Sheets uses OpenDocument (ODS) as the default spreadsheet format. It is also capable of importing Microsoft Excel spreadsheet format, but the result might not going the way you want. When you want to save the spreadsheet you are working on, there is no option to save it in a XLS format. Calligra Sheets itself is not available as a standalone application. You need to install the whole Calligra Suite to use it, which is available for Linux, Windows and also macOS. WPS Spreadsheets is a free spreadsheet software part of WPS Office. This is the best choice if you really need a free spreadsheet to replace Microsoft Excel. 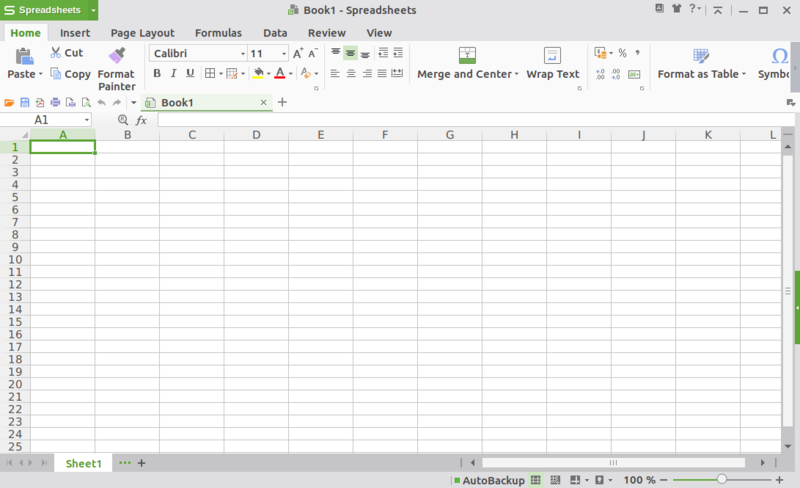 WPS Spreadsheets has a similar interface to Microsoft Excel. It even uses Microsoft Excel as the default spreadsheet format. WPS Office itself is developed by Kingsoft. Formerly, this office suite is known as Kingsoft Office. It is also released as a cross-platform software, in which available for Linux, Windows, Android and iOS. At the time of writing, there is no mac OS version available yet. OnlyOffice Spreadsheet Editor is also a great free spreadsheet software to replace Microsoft Excel, with a beautiful interface. It is not a standalone spreadsheet application. Instead, OnlyOffice Spreadsheet Editor is a part of OnlyOffice, an open source office suite developed by Ascensio System SIA. OnlyOffice is available for Linux, Windows and also macOS. 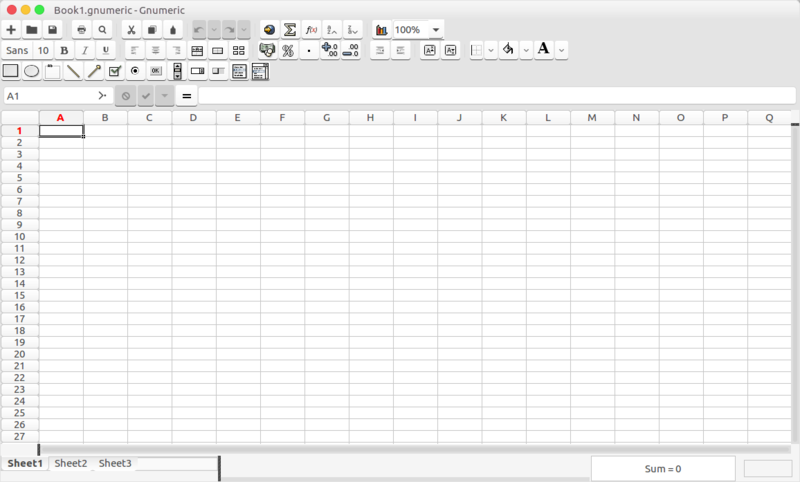 Although released as an open source software, OnlyOffice Spreadsheet Editor uses Microsoft Excel format as the default spreadsheet format. But, can save your spreadsheets in other formats. 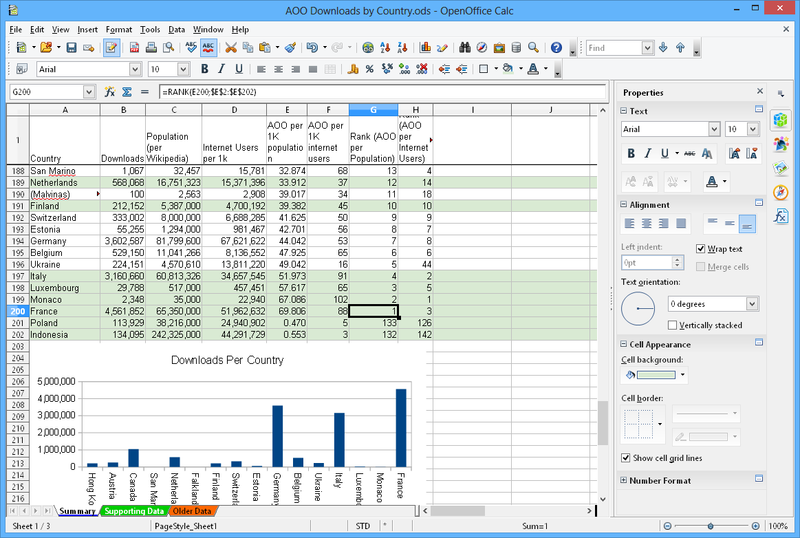 OnlyOffice Spreadsheet Editor only supports 4 file formats; XLSX, ODS, CSV and PDF. Google Sheets is one of the best online spreadsheet software. The biggest advantage of using an online tools like Google Sheets is that you don’t even need to install new application on your computer. Simply open your browser and go to the web address of the application you want to use. 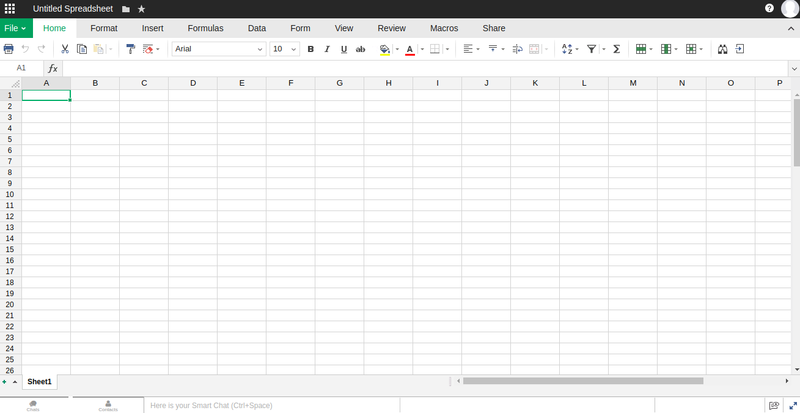 The capability of Google Sheets is not much different to desktop-based spreadsheet software above. It is also capable of handling complex formulas. You can also install additional add-ons to enhance the functionalities of Google Sheets. Best of all, you can invite your team members (or anyone) to join the spreadsheet you are working on. When working with Google Sheets, your spreadsheet file will be automatically saved to Google Drive. But, you can also download it to your computer in several formats like Microsoft Excel (XLSX), OpenDocument (ODS), Comma Separated Values (CSV) and PDF. The name of Zoho is probably not as popular as Google. But, it also has great products to solve your problems, including when you need to create spreadsheets. 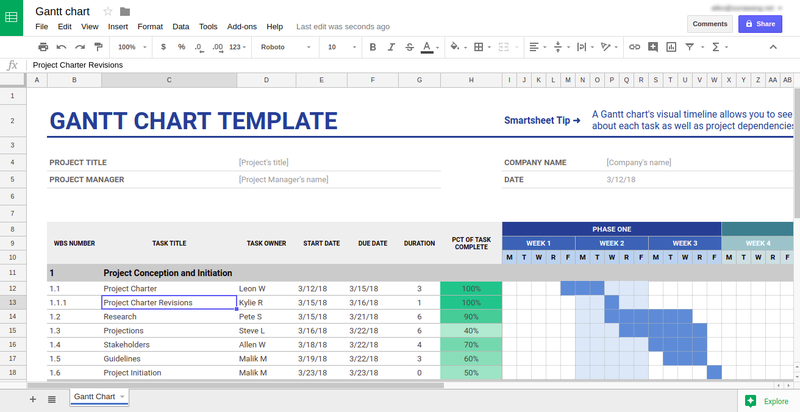 Zoho Sheet is a free spreadsheet software from Zoho that you can use online just like Google Sheets. Its capability is not much different to Google Sheets. It can handle complex formulas like desktop-based spreadsheet software. You can also add collaborators to work collaboratively. Zoho also offers cloud storage service to allow you saving your spreadsheets files. But, if you prefer to save your spreadsheet offline on your computer, you can also download your spreadsheet in a Microsoft Excel, OpenDocument or Comma Separated Values format. Zoho also provides a desktop client to allow you syncing your Zoho account with your computer for an automated backup. Thus, you don’t need to manually download your spreadsheets every time you are done creating new one.